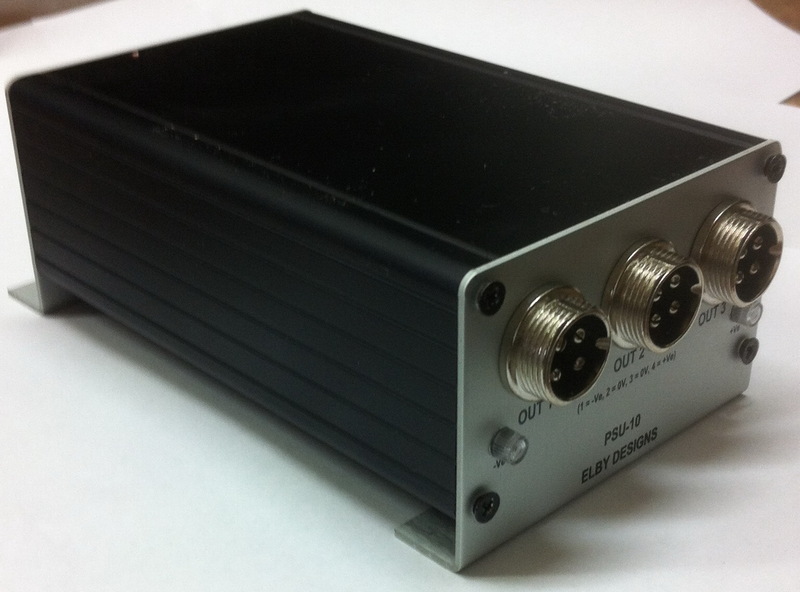 The PSU-10 is a small power supply unit suitable for a number of applications including powering up to 3 Serge boats or 3 small EuroRack systems. 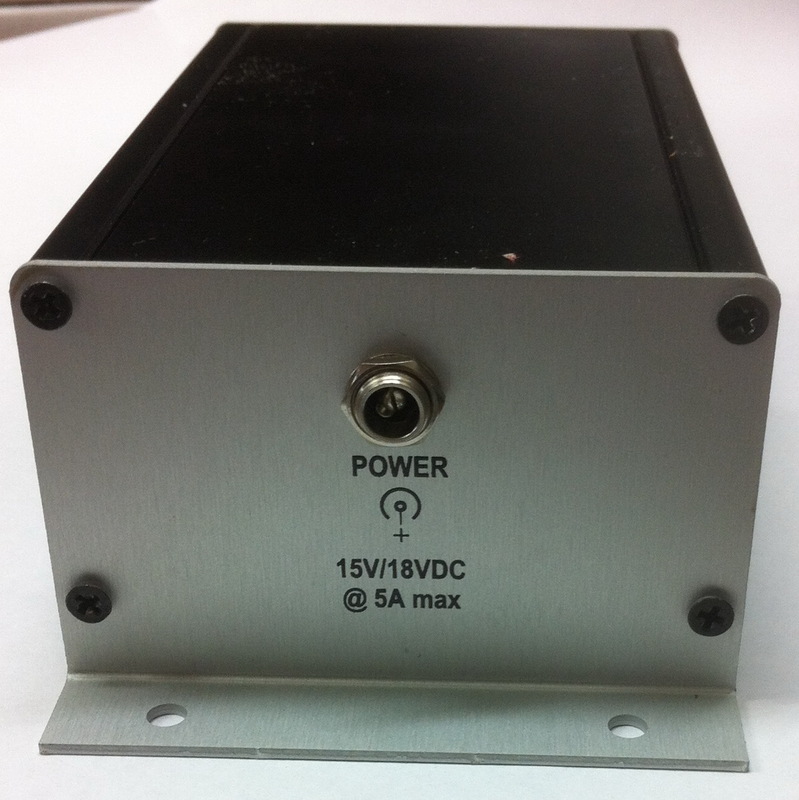 The PSU-10 can be configured to provide a number of different output voltages (see table below) and can be either installed in your own custom enclosure or be mounted in to a Hammond 1455K1201 enclosure as a stand-alone power unit. Input connections are via 1/4" quick-conneect spades while outputs are via either 1/4" quick-connect spades or 4-way 0.156" MTA connectors. Includes 2 LED indicators for output power status. The lightweight (less then 400gms) and compact (120mm x 75mm x 51mm) stand-alone unit is fitted with a DC 2.5mm input jack (tip = +ve) and 3x 4-pin MIC connectors making it an ideal solution for powering a 3 boat BOCGS or Serge system. 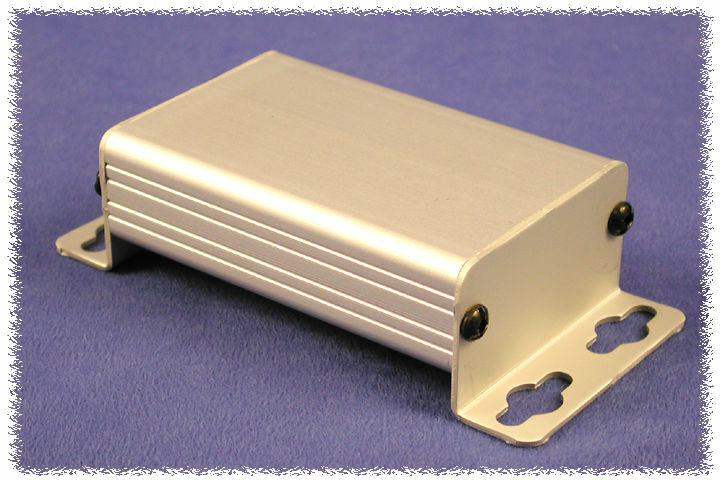 The PSU-10 should be mounted in a well ventilated area. 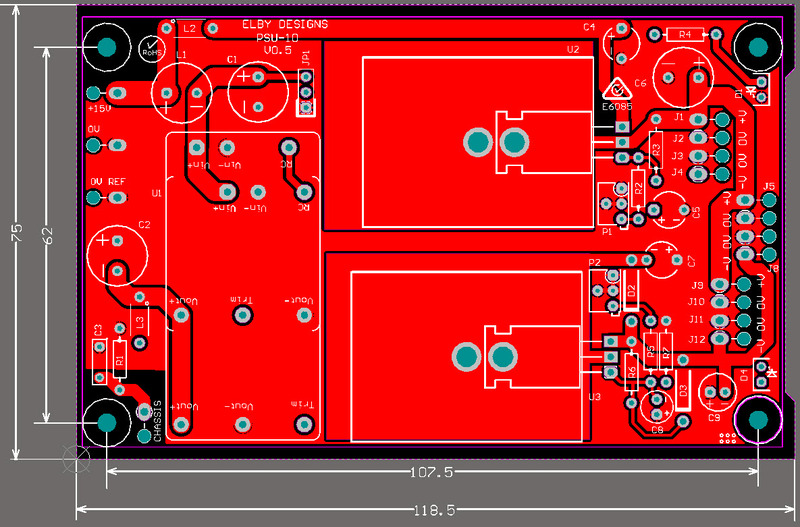 The surfaces of the PSU-10 enclosure may run hot-to-the-touch (typically 10-20C above ambient).